Rod Downey and his wife Kristin are long time Wellington Clan Donald members. 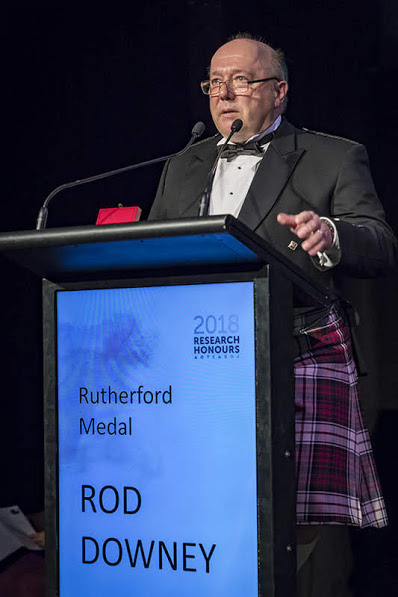 This year Rod was awarded the Rutherford Medal for his “Pre-eminent revolutionary research into compatibility, including the development of the theory of parametrised complexity and the algorithmic study of randomness.”  The Rutherford Medal is the highest honour awarded by the Royal Society Te Apārangi. 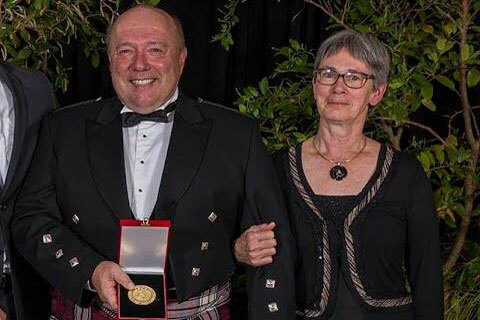 Rod has a long and distinguished career in teaching and research in Mathematics and Computer Science and is currently Professor in the School of Mathematics and Statistics at Victoria University in Wellington. “My connection with Clan Donald comes from my wife. I have Scottish, English, and Irish ancestry (plus some South East Asian). My Scottish side comes from Guthrie and before that also Scrimgeour from Forfarshire/Angus and Glamis, and it seems one was born in Brechin in 1803. In the 16th Century it appears I have some kind of lord in the background. My forebear came to Townsville (“Scottish Lass”) as a teenager around 1890 or so. These are all lowland Scots, and hence have no Tartan. My wife got me into Scottish Country Dancing, and her father was a Macdonald. Thus Macdonald was a logical choice for a tartan. We also called our boys “Macdonald Downey” (no hyphen as this cannot be continued for many generations). This chuffed my youngest son who looked up meanings: “Ruler of Men, owner of castles”. Scottish Country Dancing is a great hobby. You learn a lot about the Scottish tradition of music and the history, with dances going back to the 18th Century, and lots of old tunes. Personally this also got me into Piobaireachd although pipes are rarely used. 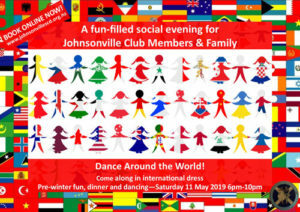 I have devised around 100 new Scottish Country Dances and teach at the Johnsonville Club. I travel a lot, almost always for work to collaborate with co-authors around the world; Singapore, US, UK, Europe, etc. In December, I will be in Chile, then next year in Singapore and Kazakhstan. I was based for some time in Edinburgh. I have taught Scottish Country Dancing in many places in the world (even Tokyo), and also danced in lots of places. This entry was posted in Articles 2018 on December 24, 2018 by admin.